Arisen from the mossy, rocky wonderland of Canada's North Shore, Chromag has refound and given birth to their ideal all-mountain hardtail. 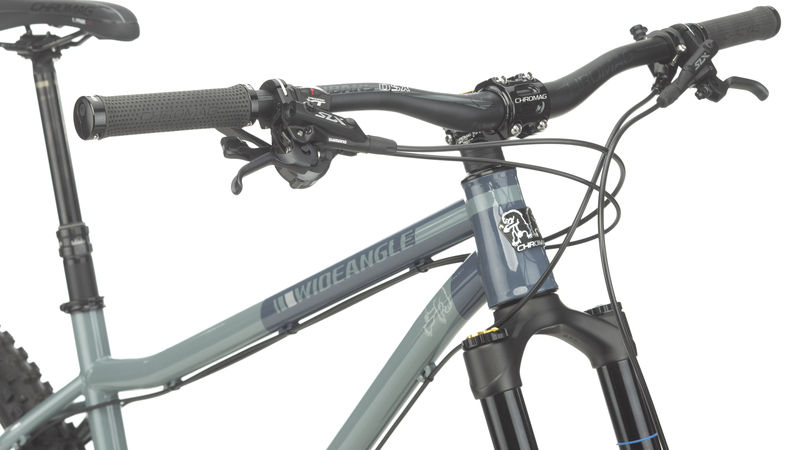 Engineered to the extremes, the Chromag Wideangle frame is a burly, hand-built wonder. The key is optimizing strength to weight while still maximizing ride quality. 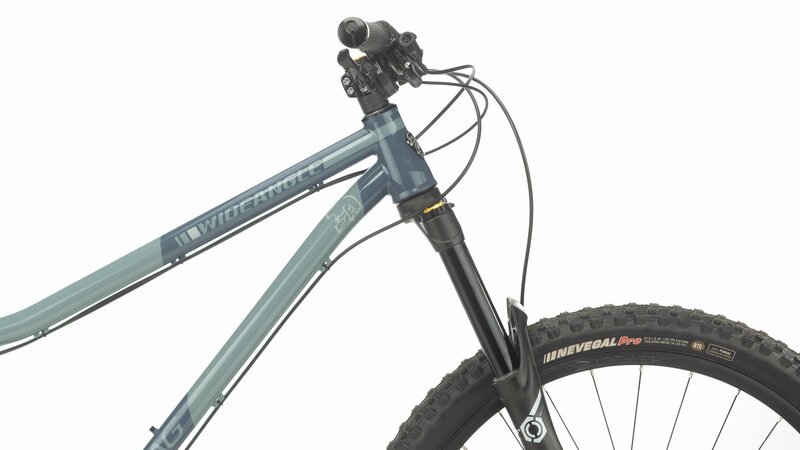 By using a custom-drawn chromoly tube set, Chromag is able to fine-tune the frame's aesthetics as well as allowing them to tailor the frame to perform exactly as they see fit. At the bottom bracket and chainstay intersection, they have opted for the use of their "Yokel". It is a small, machined chromoly segment allowing for increased drivetrain and tire clearances while still allowing for short chainstays. Additional features Boost spacing, a beautiful tapered 44-56mm headtube, 27.5" trail-honed geometry, and a dang good looking head badge. This Jenson Custom Collection build is carefully designed to complement the frame and offer the best price to performance ratio. For the Wideangle frame, we went with the workhorse Shimano XT 11-speed drivetrain. With its perfect shifts and wide gear range, Shimano XT will see you through the longest backroads and steepest climbs without pushing the price of this bike into the stratosphere. Shimano SLX brakes stop on a dime in any condition and offer low-key good looks. 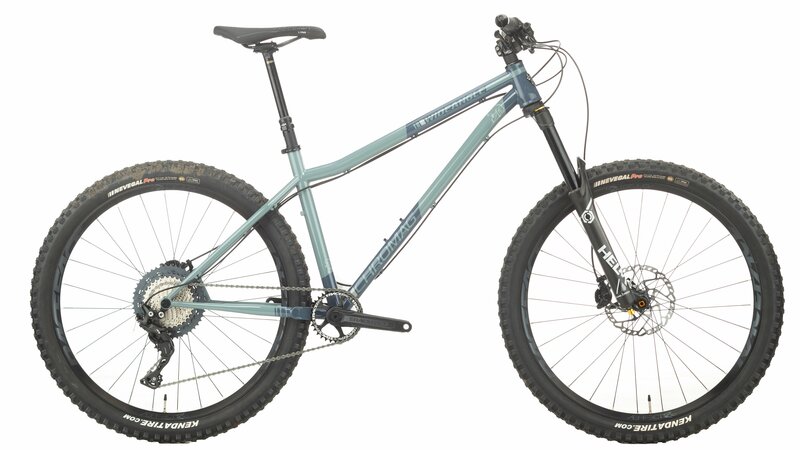 The Cane Creek Helm fork sports a healthy 150mm of travel and keeps you on point as it gobbles up chunky terrain. Rounding out this custom trail weapon are Race Face Aeffect wheels wrapped in Kenda rubber and a Chromag cockpit for superior control and durability. 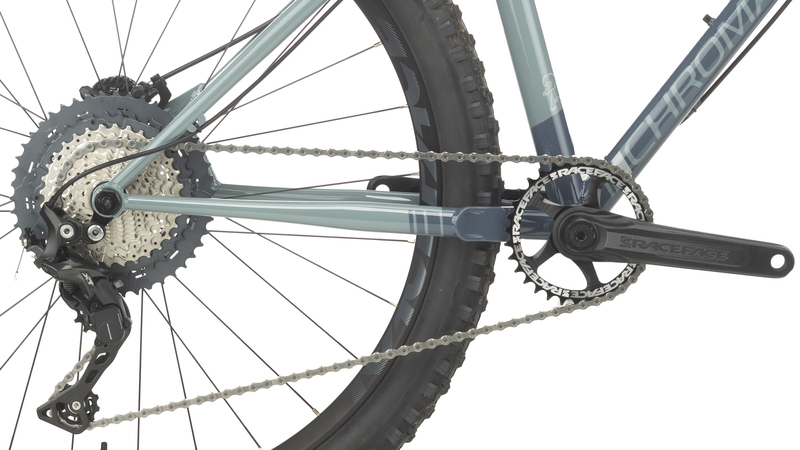 Shimano XT 11-speed drivetrain has been hand-picked by Jenson USA to be a durable and reliable component group. 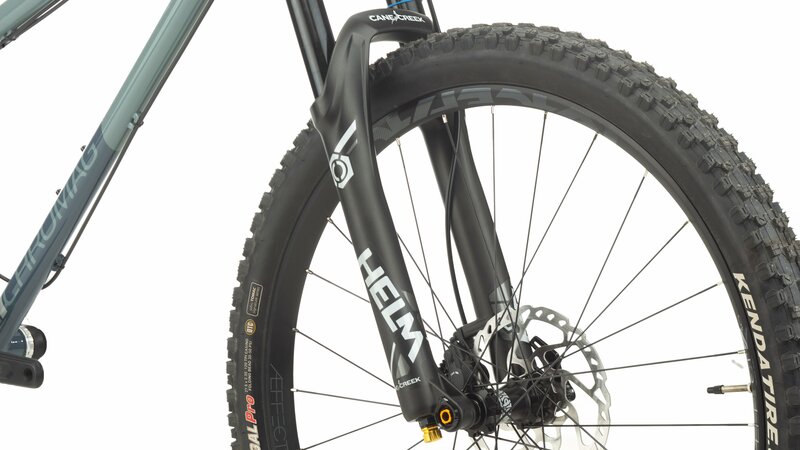 Cane Creek Helm fork adds the right amount of travel, 150mm, to this hardtail for handling an all-mountain riding style.